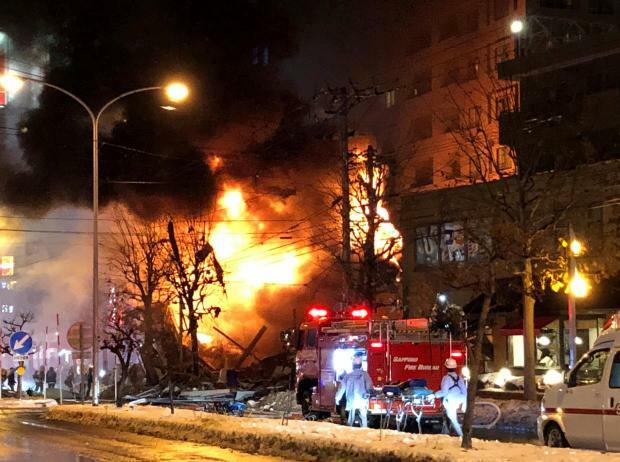 More than 40 people were injured in an explosion on Sunday at a bar in Sapporo in northern Japan, Kyodo news agency reported. There was no immediate word on the cause of the blast, which the agency said had caused a number of buildings to collapse. Kyodo said one person was in critical condition. Video of the incident posted on social media showed flames and dark smoke billowing into the night sky and people scrambling to safety beside a street strewn with debris and shattered glass. Police and firefighters worked to get the site under control, fighting flames and smoke, and warned people in the neighbourhood of the possibility of another explosion, the agency reported. "I heard a bang which sounded like thunder, and my condo was shaken," a man who lives nearby was quoted as saying by the Japan Times. 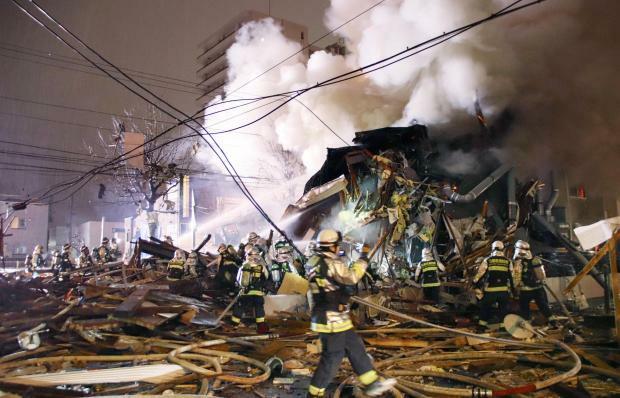 Eyewitnesses reported smelling gas in the area following the explosion, which Kyodo said happened at 8.30pm (1130 GMT).